Uber is moving ahead with self-driving cars in a big way. Volvo just announced that it will be selling tens of thousands of autonomous driving compatible cars to the ride-sharing company starting in 2019. The non-exclusive deal involves up to 24,000 cars to be sold over a two-year period. The models involved are the top-of-the-line Volvo XC90 premium SUV and the new XC60 midsize SUV, both of which will come with core autonomous driving technologies. Uber then will add its own self-driving technology. Meanwhile, Volvo says it will use the same base vehicle to develop its own autonomous car strategy, with its first autonomous car slated to be released in 2021. 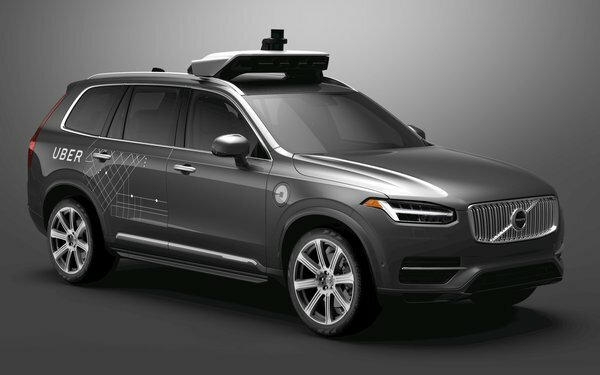 The deal is a continuation of an agreement between Uber and Volvo last year, establishing a joint project to develop vehicles that could incorporate the latest autonomous driving technologies. No financial terms were disclosed by Volvo, but the XC90 costs around $50,000. “Our aim is to be the supplier of choice for AD (autonomous driving) ride-sharing providers globally,” stated Hakan Samuelsson, president and chief executive of Volvo Cars. Besides getting the self-driving cars to create an autonomous taxi fleet, Uber will have to wrangle its way to get them on the road legally. Most self-driving trials in the U.S. require that a person be in the vehicle, just in case. Also not stated is what this means for Uber drivers, since the new cars will not require any. Self-driving taxis also open the door to innovative in-car advertising and marketing, since passengers will not have any drivers to interact with. The bigger question down the road is what consumer reaction will be when they tap their Uber app for a pickup and a car shows up without a driver. 2 comments about "Uber Buying 24,000 Self-Driving Cars From Volvo". R MARK REASBECK from www.USAonly.US , November 21, 2017 at 8:02 p.m.
Chuck Martin from Chuck Martin replied, November 21, 2017 at 8:26 p.m.